For Port of Houston (POHA) officials, as well as executives at port facilities around North America and much of the world for that matter, Christmas arrived in June. That’s when the expansion of the Panama Canal was at long last completed. At a cost of nearly $5.3 billion and almost two years behind schedule, the renovated canal opened on June 26 when the Chinese-owned, Marshall Islands-flagged Andronikos tanker became the first tanker to pass through the 102-year old canal. The centerpiece of the renovation project, launched in 2007 and initially scheduled to be completed in 2014, was the construction of a third set of locks that will enable the 50-mile waterway to accommodate New Panamax ships capable of holding over 14,000 20-foot long containers and are at least three times bigger than ships currently passing through the canal. The current Panamax size is roughly 4,500 to 5,000 TEUs. While canal officials and the people of Panama are undoubtedly excited about the prospect of the enormous and oft-troubled project finally coming to an end, POHA officials are also highly anticipating the boon to business that the renovated canal promises to provide. The bigger ships passing through the renovated canal will soon be calling on the Houston Ship Channel, an eventuality that POHA officials have been working toward for several years. 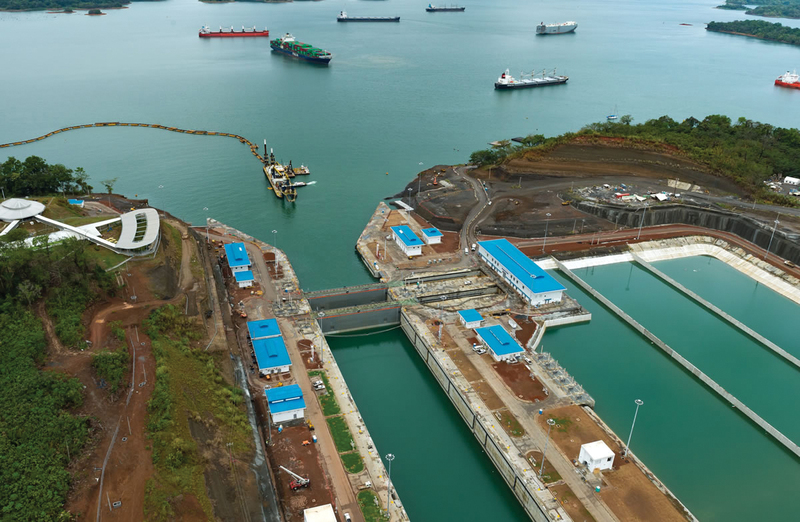 The new canal locks—1,400 feet long, 140 feet wide and 60 feet deep—are considerably bigger in every way than the old locks (1,000-by-110-by 40 feet) and are necessary for the canal to keep up with world shipping trends toward utilizing the mammoth New Panamax tankers that, while they are much larger than the current tankers are, according to industry analysts, more fuel efficient. But in order to accommodate the New Panamax vessels, the POHA embarked upon its own expedited renovation program, including dredging work at the Barbours Cut and Bayport Channels to deepen them from 40 to 45 feet so they can handle the new larger ships. The Barbours Cut project was completed earlier this year and POHA spokesman Lisa Ashley said the Bayport project is scheduled to be completed by the end of the year. Port Authority Executive Director Roger Guenther said the facility launched the project a little over four years ago and was creative in advancing the schedule to help ensure that the work would be done in time for the canal’s opening. As a result, Guenther said the work, part of a five-year, $1 billion modernization plan that also includes land-side infrastructure and wharf improvements and the addition of four new Super Post Panamax cranes, the Barbours Cut project was completed in about four-year’s time. 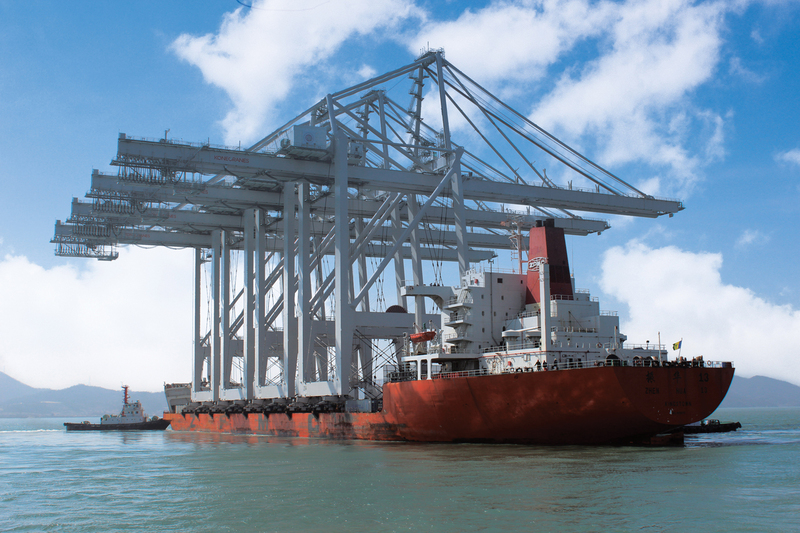 The 30-story tall, 1,500-ton cranes, part of a $50 million contract approved by the POHA in 2013, were delivered to the Barbours Cut terminal last year following 70-day ocean journeys after being manufactured in South Korea and were needed in order to service the new larger vessels. Soares adds that the new cranes will enable Barbours Cut to handle ships with as many as 14,000 containers, an increase from the current limit of about 8,000 containers and he predicts they will increase productivity by about 15 percent over the cranes they replaced. While the POHA is spending large sums of money to upgrade in order to accommodate the new larger tankers, officials expect to soon begin reaping the benefits of their labor and financial expenditure. Shipping industry officials estimate that shipments through the canal may rise to 360 million tons by 2017, and that comes after a record of 340 million tons moved through the waterway last year. The POHA is far from alone in making port and infrastructure improvements, as facilities around the Caribbean and the east coast of the U.S. have been working at a fever pace to make room for the larger vessels and the abundance of cargo they’ll bring to their docks. Meanwhile, former President Jimmy Carter, instrumental in the 1977 treaty that turned over local control of the canal to the Panamanian government, was among 70 heads of state—including President Barack Obama—in attendance when one of the world’s greatest engineering marvels enjoyed its grand re-birth.